I finished off a couple of interesting serums recently! 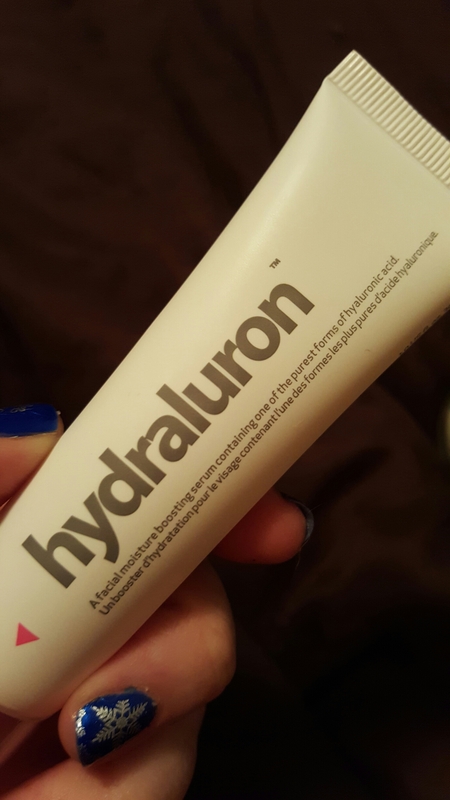 Hydraluron is a hyaluronic acid serum, but its texture is closer to a gel cream, so it ended up being one of my last steps. Since I layer a lot of skincare at night, it wasn’t my favorite just because it was so thick. But it did the job just fine. 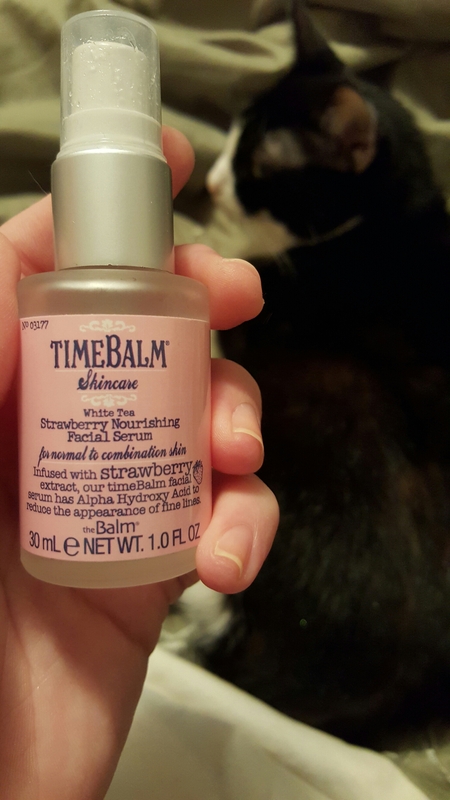 I didn’t think I would like this strawberry serum from The Balm as much as I did, but I really loved it. Its consistency is a that of a thick liquid, and it’s very strong – it gave me quite a flush and some heat upon application. I had some flaking overnight. My skin is better used to AHAs these days, though. I wouldn’t recommend this one for someone who’s an AHA novice. 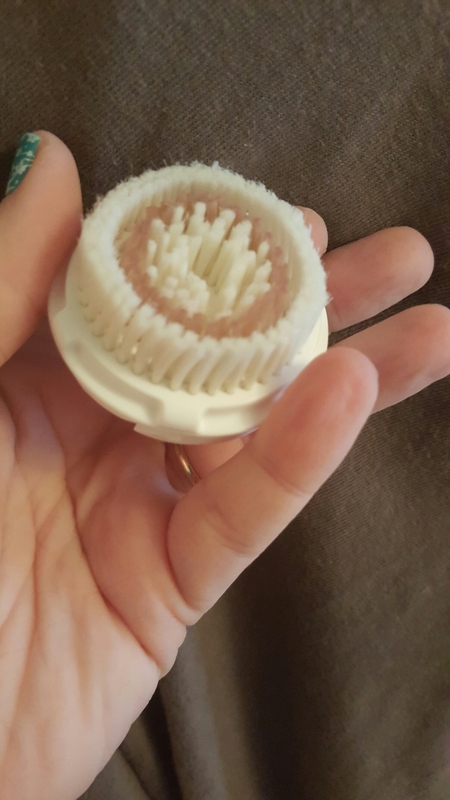 I swapped out my Clarisonic head this month. This was one of the radience brushes. This was my second, and I’m starting to wonder if there are some manufacturing inconsistencies with this kind. I bought them in a two pack. The first brush had a lot of give to it – so much so that I felt like I needed to help the device along a little. The second brush was much stiffer. It may have just been a weird one-off. I’ve been using the Clarisonic for over a year, and each sensitive brush head I’ve used has been like every other. I used up several things over the past couple of months that I talk about all the time. So here’s a collage! 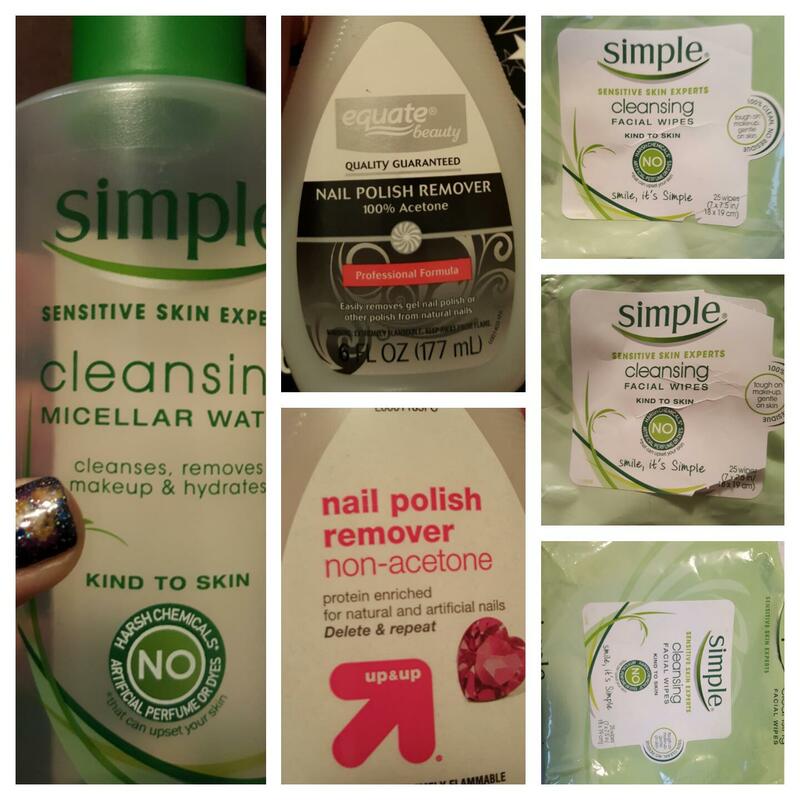 This entry was posted in Product Reviews and tagged clarisonic, hydraluron, serums, simple, skincare, the balm on January 31, 2016 by Mel. I would definitely recommend some sort of facial brush. I like the Clarisonic because the head doesn’t spin – I started out with the Olay Pro-X, which did just as good a job cleansing and exfoliating my skin, but I felt like I was fighting the rotation of the brush head. My Mom loves the Pro-X, and the spinning doesn’t bother her at all.